Our new hydraulic control valve, the BERMAD IR-105-4"L/6"R, was designed to be as effective as it is versatile. This blog will explain the features of the IR-105-4"L/6"R that make it so versatile. 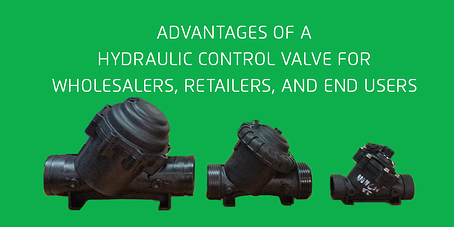 Let’s take a look at some of the features of this valve that enable it to deliver satisfactory to outstanding performance in many different applications. One of the most versatile aspects of the IR-105-4"L/6"R has to do with control valve sizing. 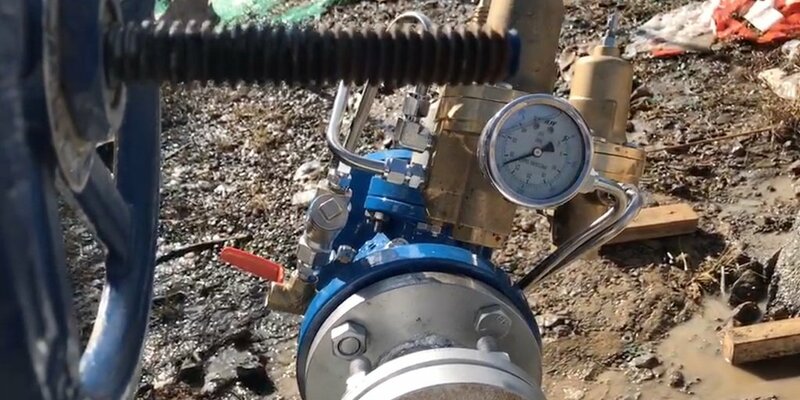 This hydraulically operated, diaphragm actuated irrigation control valve can accept a variety of control features to serve as a 4″, 5″ or 6″ main irrigation control valve, large scale plot valve or in main supply system valve. In some situations it might even go with an 8” line and still provide the right solution. Why is this possible? Our innovative hYflow “Y” valve body features a unique “look through” design that allows irrigation water a straight-line passage through the valve without ribs, shafts, or other obstructions to impede the flow. Instead of internal support, the valve body is equipped with articulated flange connections that protect the valve from stresses caused by pipeline bending and pressure surges. The result is a rugged, durable valve that delivers unsurpassed, high-capacity flow suitable for a wide variety of applications. 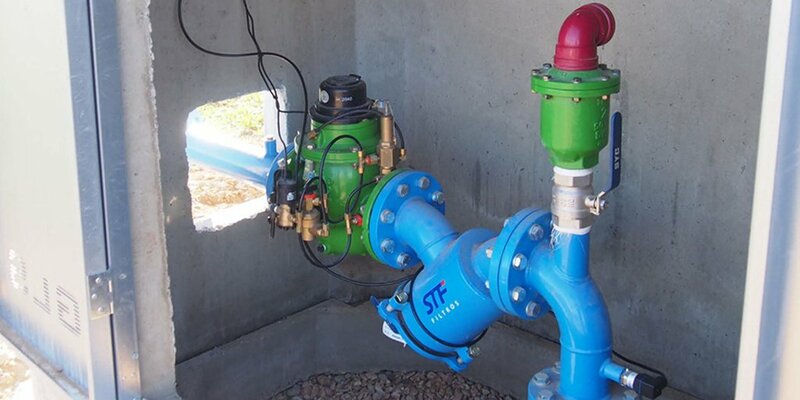 Like all our 100 series irrigation control valves, the IR-105-4"L/6"R is adaptable on-site to a wide range of end connection sizes and types, making it easy to integrate into nearly any irrigation system design. The IR-105-4"L/6"R valve’s flexibility and versatility offer advantages in distribution as well as design. It is easier to keep in stock, allowing distributors and retailers to free up warehouse and shelf space and avoid tying up capital in little-used items. End users benefit from a reduced incidence of delays due to the need for special ordering, as well as being enabled to stock fewer spare components. The IR-105-4"L/6"R’s rugged plastic construction, low head loss and ultra high-flow capacity make it a very cost effective solution for a wide range of applications. For example a flow rate of 180 cu. meters per hour would usually call for a larger, 6” valve. With its high flow capacity, the IR-105-4"L/6"R still provides satisfactory performance on a 6” line, at a very attractive price point. 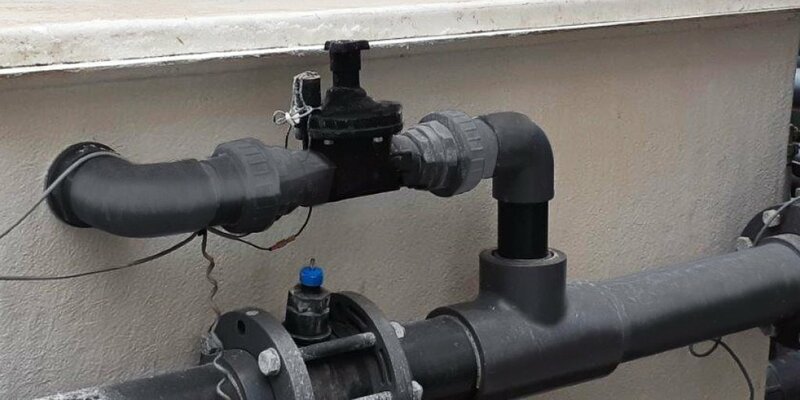 On a 4” line, the low pressure loss and high coefficient of flow afforded by this valve helps to reduce the energy costs of pumping water. 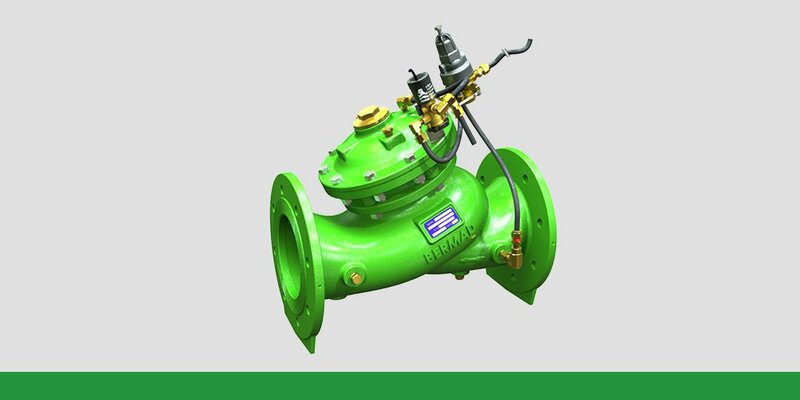 To find out more about the IR-105-4"L/6"R hydraulic control valve, or to request expert assistance in designing your irrigation system, contact us to connect with a BERMAD representative in your region.